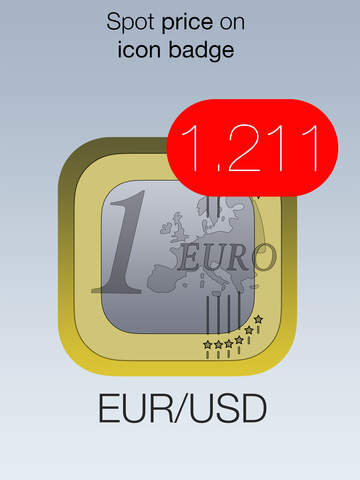 Now you don't even need to start the app to track EUR/USD rate and get notified on the EUR/USD moves. 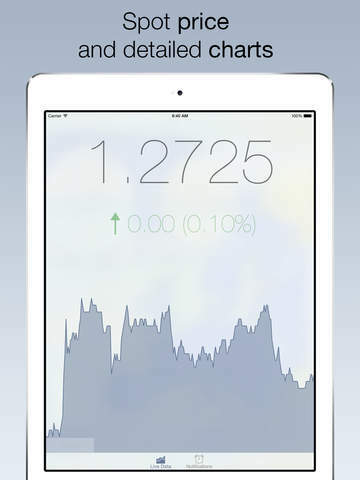 Packed with features, this makes the best real time EUR/USD rate tracking system on the market. Welcome to the "EUR/USD Forex Watch". 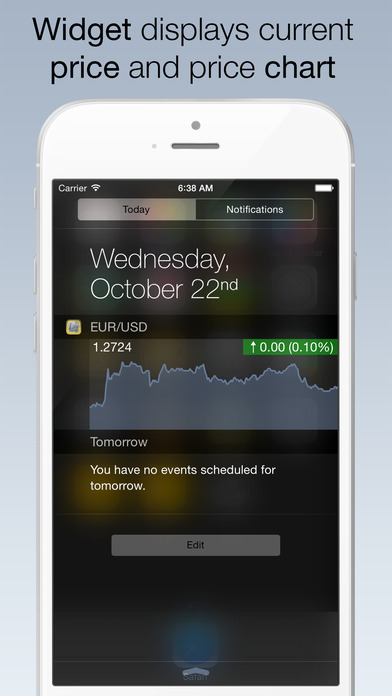 This is not just an app, it is entire rate tracking and notification system. 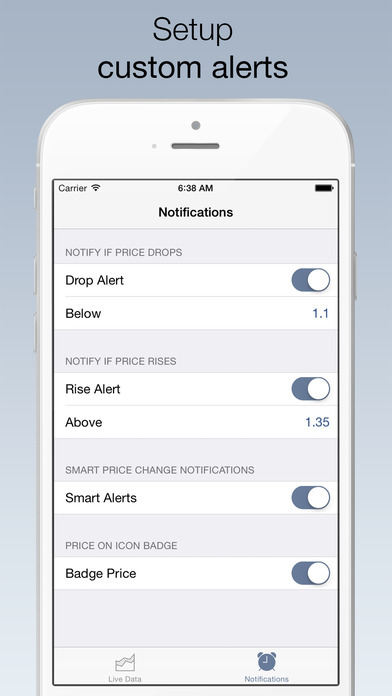 Our app is backed by a powerful push notification server delivering user defined rate alerts to your home screen, real-time rates to the badge and rate information with the chart data directly to the widget. 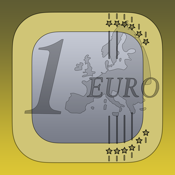 Supports all iOS Devices: iPhone, iPad and all iPod Touch devices!